Could you give us a brief overview of the data you recently presented at the ESMO 2017 Congress (8–12th September, Madrid, Spain) exploring the efficacy and safety of ABP 980 compared with trastuzumab in patients with HER2 positive-early breast cancer? Phase 3 data on our biosimilar trastuzumab candidate, ABP 980, was presented for the first time during a poster discussion at the ESMO 2017 Congress. The study evaluated the efficacy and safety of ABP 980, a trastuzumab biosimilar, compared with the originator product in patients with human epidermal growth factor receptor 2-positive (HER2-positive) early breast cancer, including neoadjuvant and adjuvant use. What were the primary endpoints of this study? Our Phase 3 study is a study in a sensitive and curative population with the surrogate marker of pathologic complete response as the primary endpoint. Importantly, the study includes neoadjuvant and adjuvant use, which gives all study participants the full labeled treatment of 1 year. It is also the only study we are aware of that included a blinded switch between the originator product and ABP 980. The results ruled out inferiority compared to trastuzumab but could not rule out superiority based on its primary-efficacy endpoint of the difference of the percentage of patients with a pathologic complete response. The primary endpoint had a prespecified equivalence margin of +/- 13%and the observed upper end of the confidence interval was 13.4%. What is the potential clinical significance of these findings? 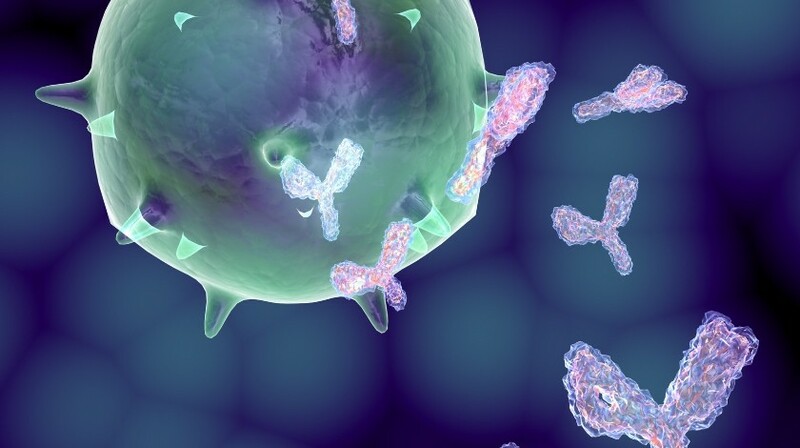 We believe that the results from this Phase 3 study support biosimilarity with regards to safety, efficacy and immunogenicity between ABP 980 and trastuzumab, with no clinically meaningful differences. Biosimilars are approved based on the analytical, nonclinical and clinical data and we are confident that the evidence we’ve generated supports ABP 980 as highly similar to the reference product. Were there any significant differences in the safety profiles of ABP 980 and the originator product? Frequency, type and severity of adverse events were generally similar between ABP 980 and trastuzumab. No new safety signals compared to the known safety profile of trastuzumab were detected. Would you like to find out more about biosimilars? What do you think are the biggest challenges in the widespread adoption of biosimilars and how can we overcome these? What is important for the adoption of biosimilars as a treatment choice is that their quality is highly similar and that there is a high level of scientific understanding of the data generated for their approval. In addition to understandings of extrapolation to indications not directly studied by the biosimilar development program. I would like the physicians and patients to choose our biosimilar and not feel like they are forced by payers or policy. To have individuals choose our biosimilars, we are working to provide scientific information so that they can understand and appreciate the efforts being put into developing and manufacturing the products such that they can be confident in their equivalent safety and efficacy. Then by choosing the biosimilar, they can provide full standard of care treatment whilst also helping the sustainability of the healthcare system and support innovation. What do you think could be the timeframe for widespread adoption of biosimilars? I believe it will be relatively quick as long as they do have good experiences with the options that earlier biosimilar therapeutics provide and that there is appropriate scientific education for all stakeholders to embrace their use and continue to require the biosimilar options to be high quality. Amgen has long been interested in the concept of biosimilars and their potential role in supporting the sustainability of healthcare systems. Amgen has embarked on an ambitious biosimilars program and has invested substantial time, effort and resources. Certainly, the recent announcement of MVASI (bevacizumab-awwb), as the first anti-cancer biosimilar approved in the United States, marks a significant milestone for healthcare practitioners and patients. We look forward to leveraging our extensive experience in biotechnology to bring more high-quality biosimilars to patients. I think it is an exciting time as we are expanding this new genre of medicine. They are not originator medicines and they are not generic medicines. However, we are now seeing therapeutic-antibody biosimilars and that means we will be able to cure patients utilizing biosimilars. Hopefully, this will also lead to an increase in access so that more patients can benefits from these medicines. I also want to reiterate an earlier point that if this is done right, with high standards and hence confidence from patients and physicians, then this could result in more benefits for patients. At the same time the healthcare system can appreciate financial headroom to also support innovation for new medicines being developed and hopefully this will include the next cure. Richard Markus is the Vice President for the Global Development at Amgen, Inc., where he leads research and development activities for the Biosimilar Business Unit. After joining Amgen as Clinical Development Medical Director and Medical Affairs Lead for denosumab, he served as the Global Development Leader for darbepoetin alfa in Oncology. Richard now oversees non-clinical and clinical activities across the portfolio for 10 molecules in multiple therapeutic areas and indications of use. Richard received his BSc degree from the University of California, Los Angeles (CA, USA). He earned his MD/PhD from the University of Southern California (CA, USA) and stayed there to complete his medical training before going into industry to lead clinical research.